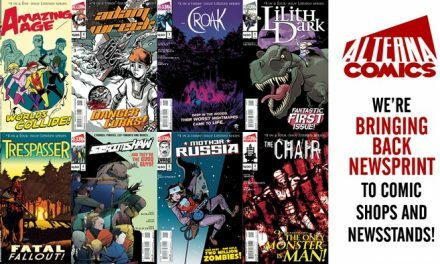 The first chapter of Dark Horse’s long-awaited superhero science-fiction mystery adventure has arrived! 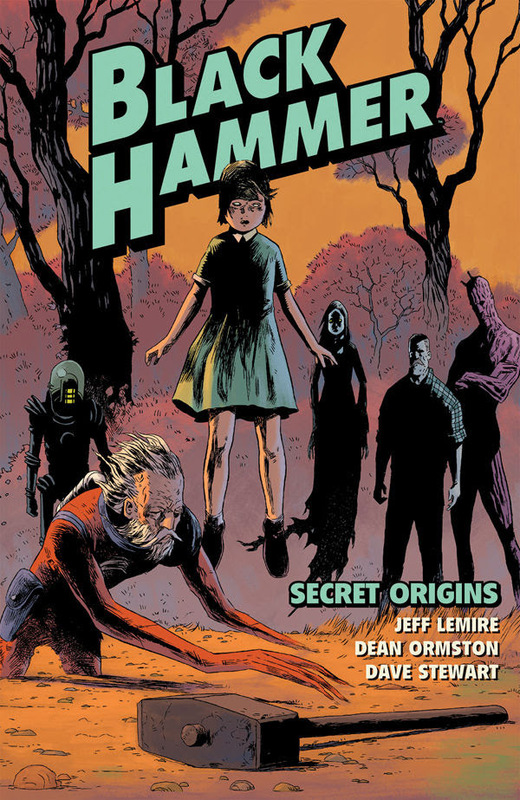 The critically acclaimed action-adventure series by famed creator Jeff Lemire (Essex County, Sweet Tooth) with art by Dean Ormston (Lucifer, 2000 AD) and Dave Stewart (Hellboy), Black Hammer: Secret Origins collects Black Hammer #1–#6 and will hit shelves March 29, 2017. Once they were heroes, but the age of heroes has long since passed. Banished from existence by a multiversal crisis, the old champions of Spiral City—Abraham Slam, Golden Gail, Colonel Weird, Madame Dragonfly, and Barbalien—now lead simple lives in an idyllic, timeless farming village from which there is no escape! But as they employ all of their super abilities to free themselves from this strange purgatory, a mysterious stranger works to bring them back into action for one last adventure! This is a must-read tale of Golden Age heroes faced with modern-age drama.